Every parent yearns to have a close, lasting relationship with their child. Sadly, that can be threatened over the years as a child transitions into an adult. It doesn't have to be that way. Every child needs a coach to prepare him for his life purpose. There's no better potential coach for your child than you! 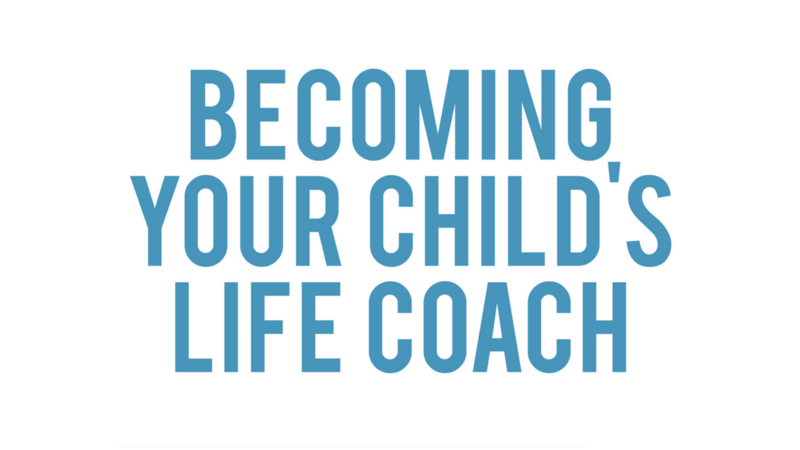 Becoming Your Child's Life Coach will equip you with the hope, confidence, and practical skills to help you navigate all the transitions of your parenting experience and enjoy an ever-increasing relationship with him for a lifetime! Become your child's trusted confidant and advisor for life. Drastically cut the conflict and drama with your child. Discover the simple tool to create more responsibility in your teenager without the arguing. Know when your parental control is too little, too much, or just right. Enjoy a family culture where you can say "yes" more and "no" confidently when necessary. Look forward to and enjoy your child's teenage years instead of dreading them. Gain greater awareness of when and where to flex. Help your child learn the art of good decision-making. Stay ahead of and prepare for significant transitions instead of getting caught off guard. Avoid being thought of by your child as "the enemy." Help your child navigate through the upheaval associated with adolescence. Adopt one phrase that keeps good communication flowing respectfully between your and your teenager. Discover the 1-hour weekly activity that will create a lasting bond between you and your child. Learn how to let go when your child leaves home—and how to set boundaries if they return for a season! There are many things in life that are hard for us to do, but only because we do not understand what to do. This book is a quick guide to understanding what parenting looks like. After reading this book you will know how to fulfill your role in your child's life and how to maintain relationship with them through it all. —Mark D.
This book is great for all parents who want to raise children in a healthy and beautiful environment. Absolutely love it and I hope to implement all strategies and principles into our family! —Mugu R.
Kirby Andersen has helped me become better in my marriage, raising my children, and operating a better business. If you want to get better, Kirby Andersen is a tool everyone needs in their lives. —Heath R.
The when and how to shift from controlling to coaching in raising your child—and building a close relationship in the process that will last a lifetime!